Our annual Easter Tea party held on Sunday 27th March was a huge success and enjoyed by all. Family and Friends joined us as we celebrated Easter with our Grand Raffle raising £305.55. Residents enjoyed an Easter Egg hunt and Easter Bonnet Parade along with a splendid Buffet and light refreshments. 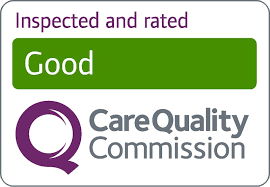 Inspection celebration as Culliford Residential Home are rated as Good.